After decades of armed conflict between the Iraqi government and the Iraqi Kurdish population for their recognition, freedom, and democracy, a ceasefire agreement signed on March 11, 1970, granted autonomy rights to the country’s Kurds. A self-governed Kurdish area was to be established, and displaced Kurds were promised a right to return. The right of Iraqi Kurds to participate in the federal government was to be recognized, and a quota of Kurdish representatives in high-ranking positions was to be introduced. It was admitted that the Iraqi people were made up of both Arab and Kurdish ethnicities. Consequently, Kurdish was to be recognized as the official language in areas with a Kurdish majority, and was to be taught in schools alongside Arabic. The right to create Kurdish youth, student, women and teacher associations was also affirmed. There was furthermore the promise to economically develop the autonomous Kurdish Region. However, large parts of the agreement remained unfulfilled. The Iraqi government did not conduct a census to determine Kurdish population numbers, and the promise of political representation remained a lip service. 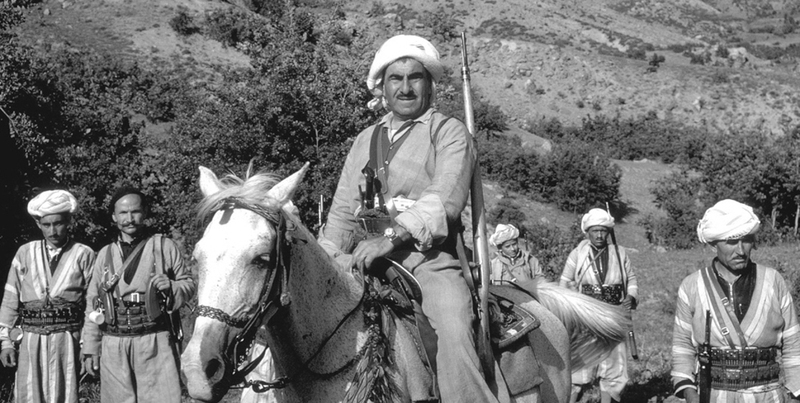 Instead, the Baath regime undertook assassination attempts against Kurdish leader Mustafa Barzani and his family, continued its Arabization programs in disputed territories such as Kirkuk, and further carried out attacks against Kurds. In March 1974, the Baath government unilaterally drafted a new proposal that the Kurds would had to have accepted without negotiations. When this proposal was rejected, the Second Iraqi-Kurdish War broke out. At the same time, the territorial dispute over the Shatt al-Arab waterway between Iraq and Iran increased pressure on the Iraqi-Kurdish conflict. In an attempt to end Iranian support to Kurdish Peshmerga security forces, Saddam offered concessions in the Shatt-al Arab dispute. On March 6, 1975 the Algiers Agreement was signed between the two. Saddam offered control over the Shatt al- Arab to the Shah of Iran; in exchange, the Shah ended all support to the Peshmerga, consequently allowing the Iraqi army to break Kurdish resistance. The Iraqi regime continued its Arabization campaign in Kurdish areas, killing and displacing thousands of Peshmerga and civilians. Unable to return home for fear of prosecution, the Kurds pleaded for international action. Austria was among the first countries to offer asylum to some of the displaced Kurds living in Iranian refugee camps.